You are here: Home / Fight Yourself Fit / 4 Rounds of Boxing Training to Get You in Fighting Shape! 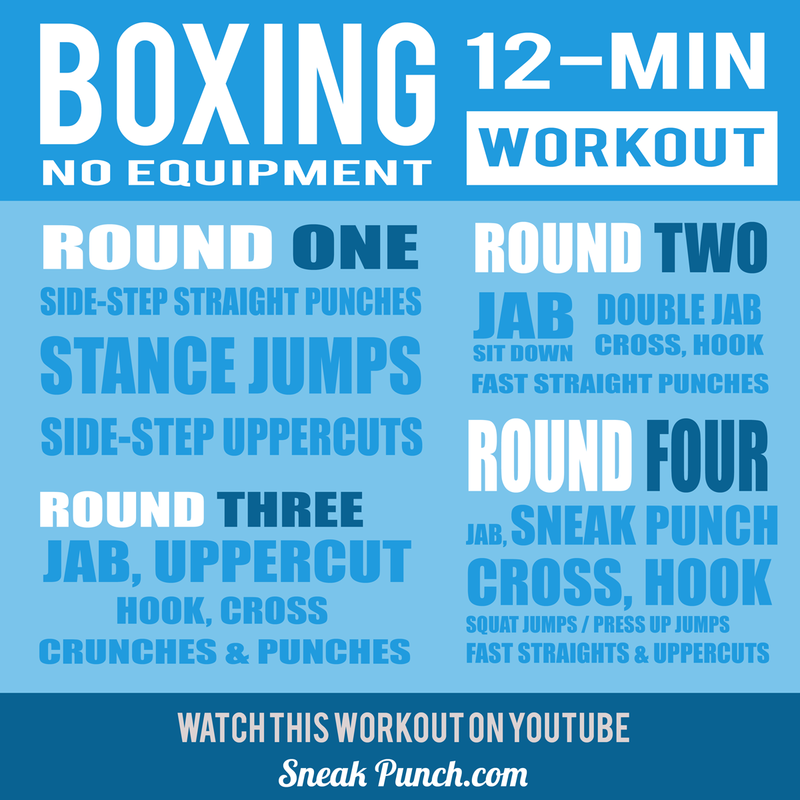 4 Rounds of Boxing Training to Get You in Fighting Shape! You could be reading this as a boxing enthusiast, already well down the training path but looking for fresh ideas. Or perhaps you’re a complete novice to anything boxing related, just wanting to take full advantage of the huge benefits boxing training can offer – and get in great shape. Or perhaps you are dedicated to another sport and need to add a boxing related workout to your existing routine (using boxing as an alternative cross training method is an increasingly popular topic in my mailbox. I have received a lot questions from runners, cyclists etc.). Whatever your aim – We’ve designed and tested this workout to achieve maximum appeal and benefit to ANYONE thinking of incorporating a boxing workout routine into their schedule. And when I say ‘anyone’, I aim to be as inclusive as possible. You’ll be boxing training, it will be intense and it will give you a hard workout – but you can start slow and make it as difficult as you want. A Boxing Workout with 3 Major Benefits! 1. You’ll need no equipment – No wraps, no gloves, no heavy bag / punch bag. 2. You can do it at home. 3. It only takes 12-minutes to complete. 4 rounds in 12 minutes. So, if your excuse has been you don’t have the gear, any spare time or a gym nearby – I’ve just out-boxed you! I’m confident this can be a great starting point for all of you. Oh, and it’s free. Boxing is a sport that requires ‘explosive’ and ‘powerful’ movements. Short bursts of high intensity exercise make up the core of their routines. Here are some of exercises which make up the 12-Minute workout. All essential training techniques used by boxers. Burpee Jumps – I love to hate these. Burpees are great for explosive training and work every part of your body. This exercise will get your heart pumping and have you gasping for breath… but in the very rare event you find these easy, make them harder. Add a press-up after every leg thrust and bring your knees up to your chest with every jump. A great exercise for boxers who rely on short burst of explosive techniques. Alternate Stance Jumps – I’ve included this exercise for a couple of reasons. Firstly, it builds up explosive power in legs. Successful boxers concentrate on leg strength – not only will it provide the base for punching, but contribute to your footwork and overall endurance. This exercise will help you keep your stance position and get you used to keeping your guard up at all times. Crunches & Punches – This exercise strengthens your stomach muscles. It works your abs harder than a standard crunch due to the added twist when punching and the extra time you are in the tensed position. Boxers need great abdominal strength to cope with body punches. Squat Jumps – Ok, you might be seeing a trend here – yes, I like my fighters to train legs 🙂 – The muscles in the lower part of your body are the biggest, not only does working these help massively with weight loss but builds up endurance. This exercise again builds up explosive power, really focussing in on your quads. To get the most out of this exercise, make sure you are jumping as high as you possibly can. I really can’t express enough how important strong legs are for boxers – so get training. Press Up Jumps – Normal body weight press-ups are great for building up your chest and toning your arms. Adding a jump brings a dynamic, explosive element to this exercise, just what a boxer needs to be – dynamic and explosive :-). Finished? Have You Got Some Extra Fight in You? If you feel like you can step up a gear and take the next challenge – we’ve created a NEW PREMIUM workout. This 60-Day Punch Bag workout delivers over 5 hours of real boxing training without any pressure of entering the ring – or even going to the gym. It’s tough and you’ll be guaranteed to work really hard but at the same time learning and perfecting a new set of skills – real boxing techniques and combinations. Here’s a 30-second sample from one workout – Technique 2 – ‘Off the Jab’ Workout. There are 8 x 30 minute workouts in the full program, plus a whole bunch of bonus content. 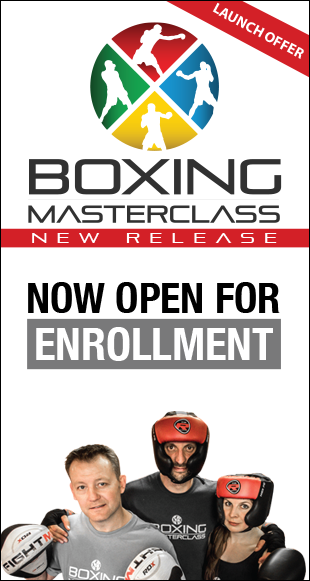 That’s hours of structure fitness workouts combined with real boxing coaching. Techniques start with the simple jab and progress to full blown complex 7-punch combinations. I’ve seen students start from zero and achieve amazing results and skill sets. If you’ve learnt something or think Sneak Punch could help someone you know – Share it!